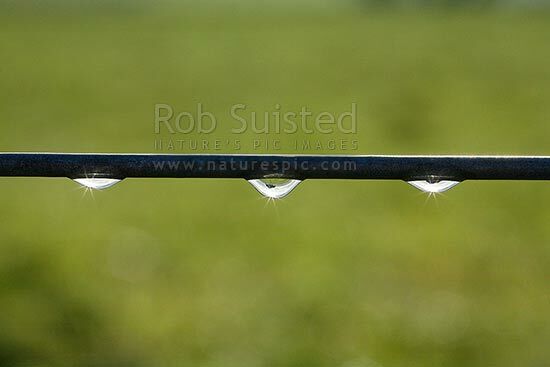 Farm fence wire with morning water dew drops / rain drops. No. 8 wire, New Zealand (NZ), stock photo.